Unless you’re living under a rock, you must be aware that the Government of India has made it mandatory to link your Aadhaar to several services, including your mobile number and bank accounts. The deadline for linking mobile number with Aadhaar card is now extended till 31st March 2018 and it’s compulsory for every citizen of India to re-verify their existing mobile number in order to continue using the telecom services. Until now, the only way available for this verification process was by visiting your mobile operator’s customer care store where you need to present your Aadhar card and verify your identity with your fingerprint scan. This process could be cumbersome for most users and isn’t certainly the most convenient and quickest way of re-verification. Thankfully, starting 1st of January 2018, UIDAI has rolled out a relatively easy and hassle-free process to complete the re-verification procedure directly from home. The new method involves generating an OTP (One-Time Password) either through an IVR (Interactive Voice Response) service or an online process by visiting the service provider’s website. The option to link Aadhaar with mobile online currently seems to be unavailable though it could be implemented soon. Without further ado, let’s now find out how you can re-verify via IVR. Call 14546 (toll-free) from the same phone number that you provided while applying for your Aadhaar card. The IVR service will now ask whether you’re an Indian or foreign citizen and will request your consent to proceed with verification. Now enter your 12-digit Aadhaar card number. The service will request to validate your details and speak out the mobile number. 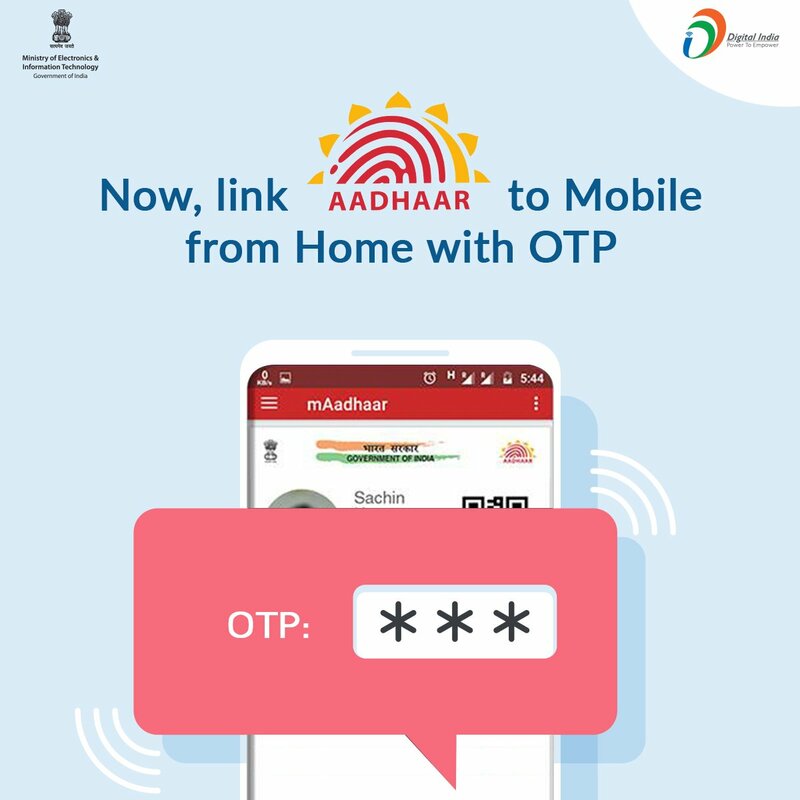 By sharing the sent OTP, the user allows their telecom provider to access their personal details such as name, date of birth, address, gender, and photo from UIDAI for re-verification. Enter the received OTP that’s sent to your Aadhaar registered mobile number. That’s it! You will get an SMS informing that your request to verify your mobile number with Aadhaar number has been received. Reportedly, the process takes up to 48 hours and you’ll be informed via SMS about the same. We tried the above-stated procedure on Airtel prepaid connection and it worked like a charm. It should also work with other network providers such as Idea, Vodafone, and Jio. Don’t forget to verify your mobile number and do share your experience with us. What about those who are Foreign citizens or NRIs who don’t need to get an Aadhar card?